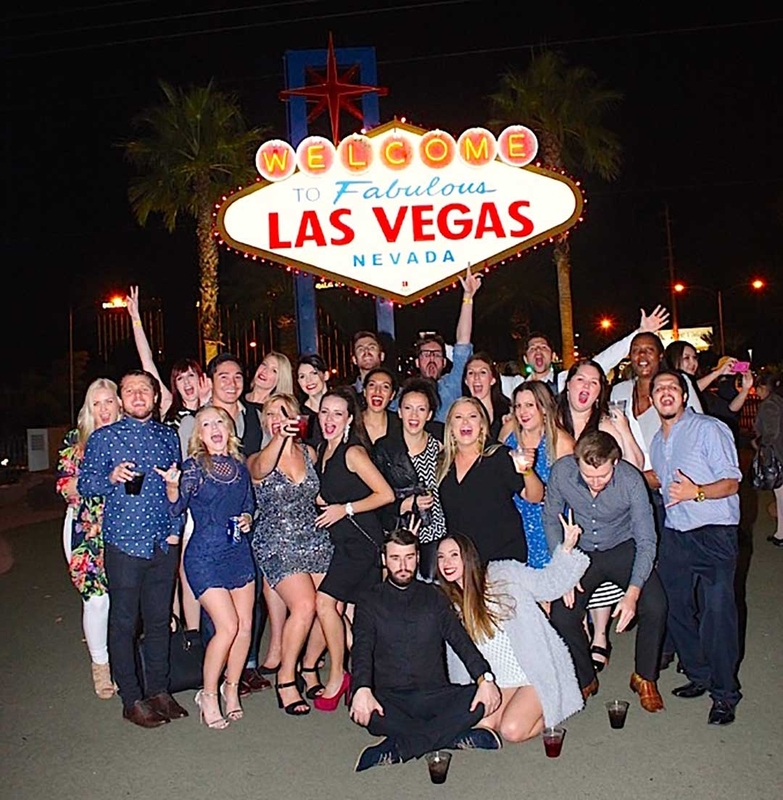 25 travel agents in Las Vegas – look out! It’s unlike any other city I’ve visited before. It felt like I was in a computer game. Bright lights everywhere and insane buildings mimicking land marks around the world, like the Egyptian Pyramids, Eiffel Tower and the London Eye. 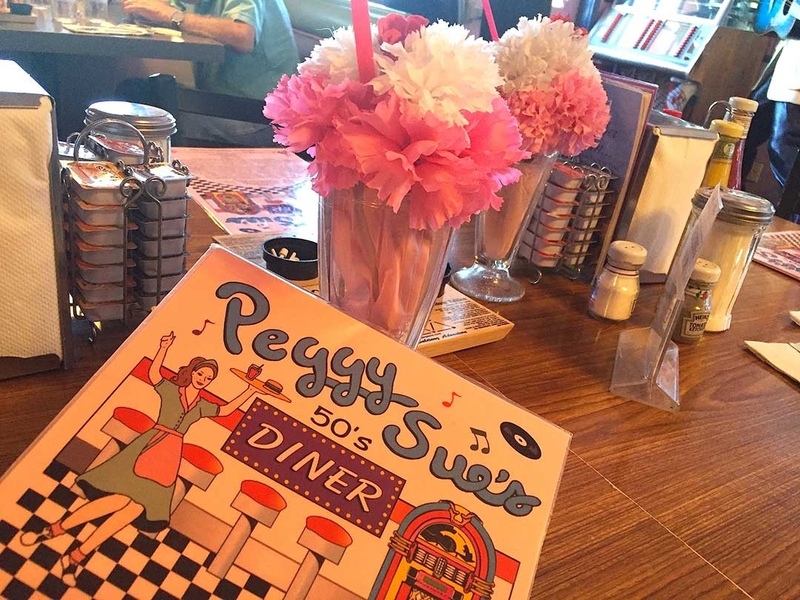 Having driven the 4hrs from Los Angeles with a stop at Peggy Sue’s 50s Diner for a vanilla malt milkshake, we were ready to check into our room at the fancy Cosmopolitan Hotel of Las Vegas. 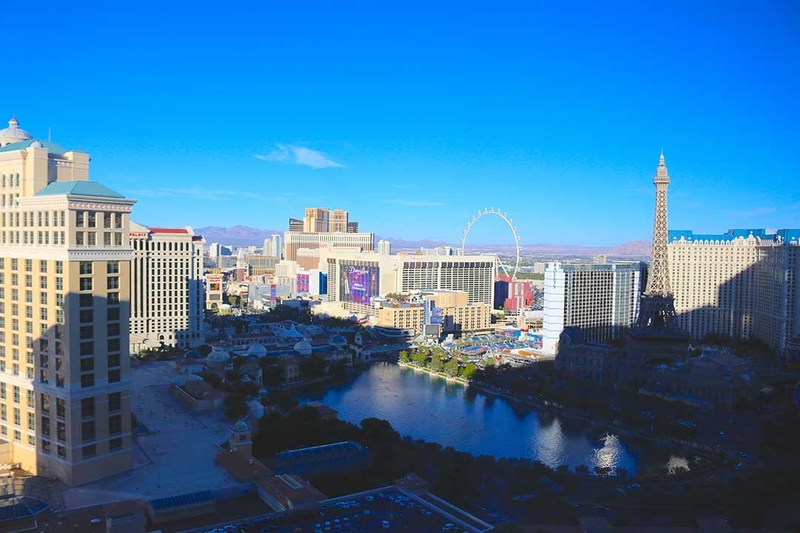 Hands down, the best view of the strip was from our amazing room. I haven’t stayed somewhere this fancy in a really long time. We could even see the infamous fountain show at The Bellagio next door! Another thing that shocked me was the fact that there’s an 8 lane highway running down some of the strip. I’m not sure what I expected, but certainly not this big! Having walked around and checked out plenty of other hotels, I think the Cosmopolitan was the best. It certainly suited my taste! 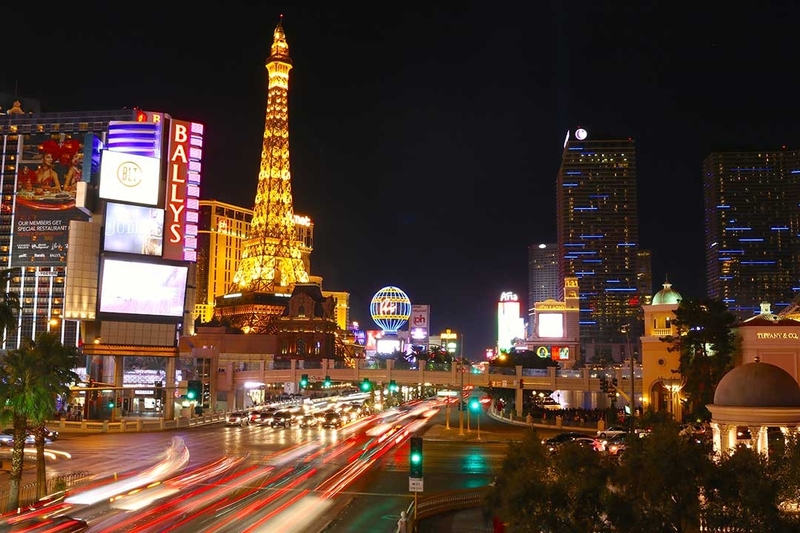 The great thing about Las Vegas is that it doesn’t have to be expensive! 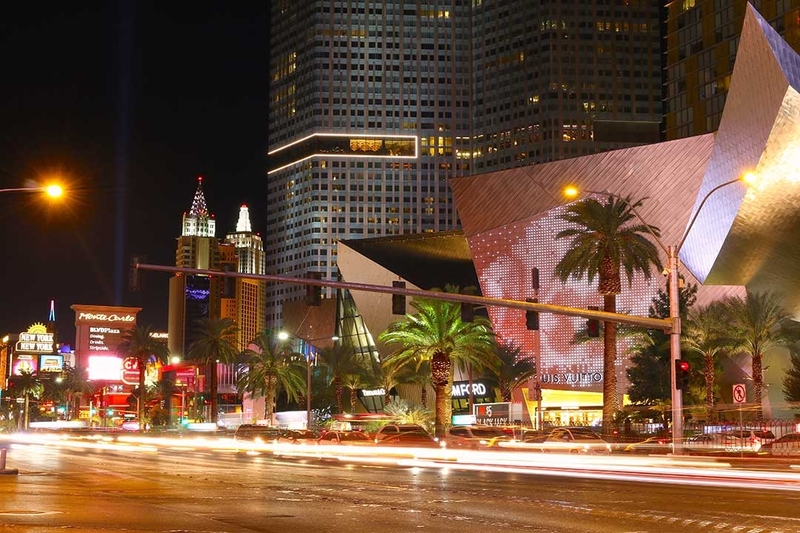 Compared to just about every other city in the USA, it’s relatively cheap. 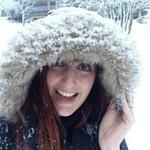 My hot tip would be to stay central! 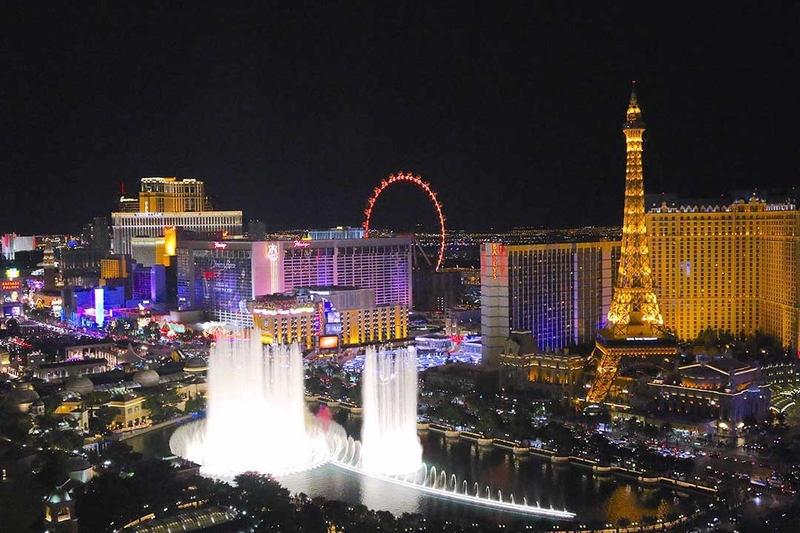 As a rule of thumb, The Bellagio is the centre of the universe, and I would definitely recommend The Cosmopolitan. We only had a City Room which was the lead-in category, so just imagine what it would be like if you spoiled yourself! Taxis everywhere are cheap as well. 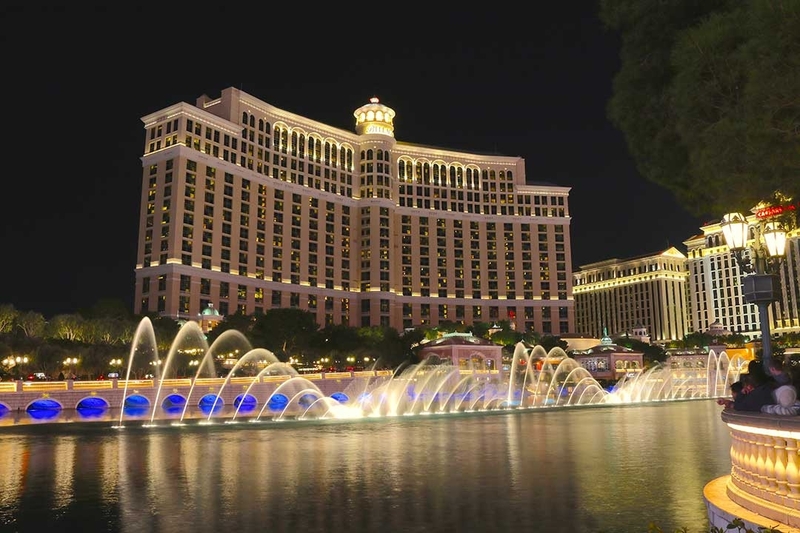 Although I’d watched The Bellagio fountain show many times from my room, I wandered down at night to view it from street level, which was magical. 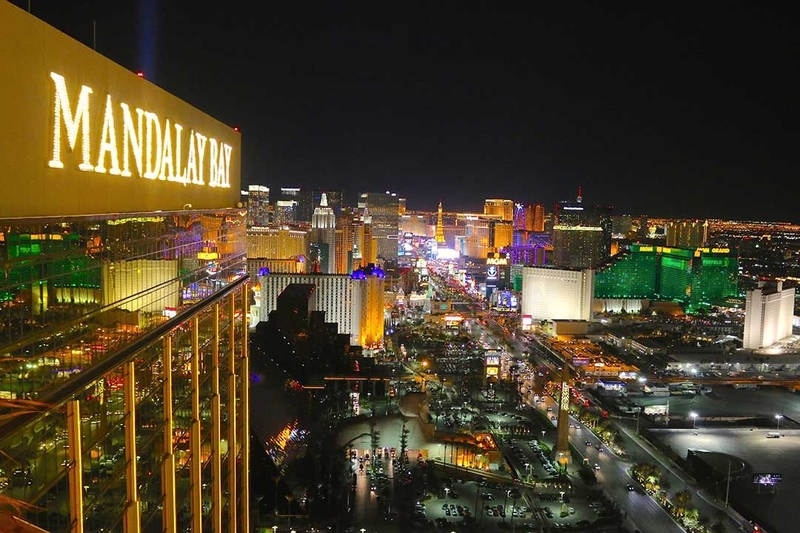 Las Vegas looks best at night! On our first night in Las Vegas we were on the VIP list at Hakkasan, the club at MGM Grand, to see Calvin Harris. The atmosphere was full on in this club and drinks were incredibly overpriced at US$20 for a basic! Although it was a good experience, we visited much better clubs (in my opinion) the next night. 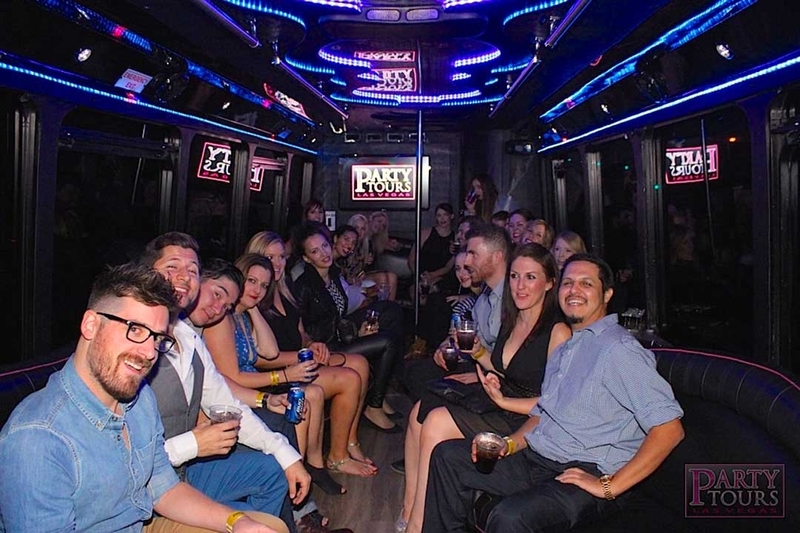 On our party bus with Party Tours Las Vegas, we visited Foundation Room at Mandalay Bay, Foxtail at SLS Las Vegas, and Chateau at Paris Las Vegas and had an absolute blast! 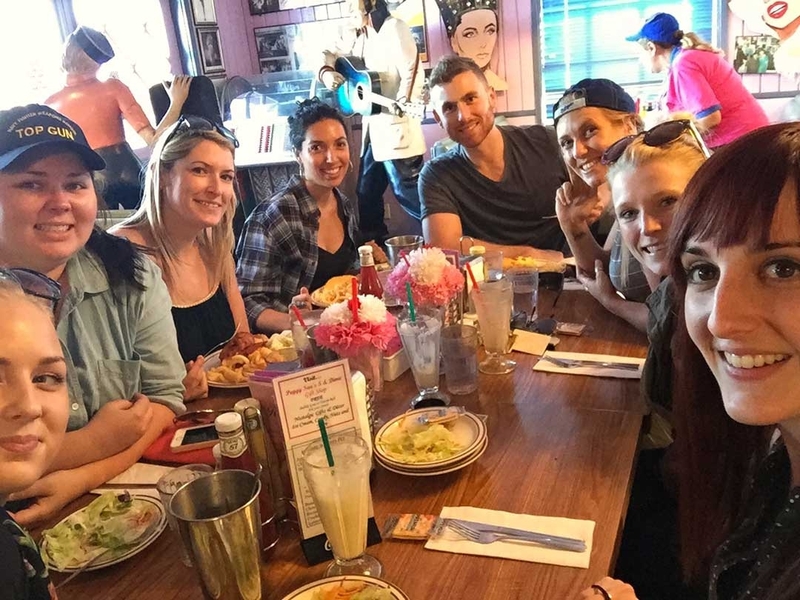 25 travel agents surrounded by unlimited free-pour alcohol…what could go wrong?! After some big nights in Las Vegas, waking up to the buffet at The Cosmopolitan is possibly the greatest thing on the planet. We literally spent 2.5hrs eating all the glorious food on offer. It’s US$35 + tip and runs until 3pm, so you don’t have to worry about getting up early. BEST. 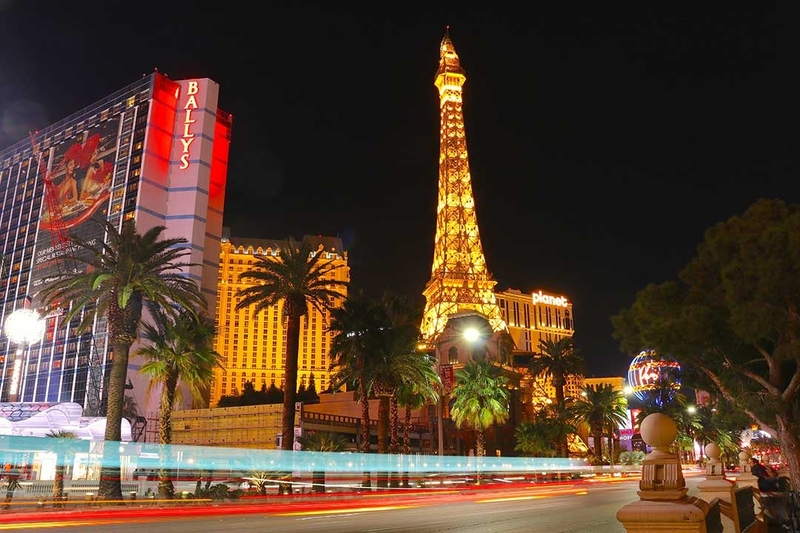 Apart from a bit of shopping at Planet Hollywood and a ride on the rollercoaster on top of the Stratosphere hotel, we were ready to leave Sin City and head to Antelope Canyon and the Grand Canyon! If you have any other questions about Las Vegas, let me know on Facebook, Instagram, or comment below! Hey. Great post. I was a bit like you when I went, expecting to hate it but being surprised how much there is to do and not having to really spend anything if you didn’t want to. After a couple of days though I just wanted to get out of there. Thankfully that coincided with a heli trip to the Grand Canyon and picking up the car to head to Death Valley and beyond. Sadly not…I went some time before I started my blog (which I started initially as a way of keeping people in touch with my experiences of moving from the UK to NZ) although now you mention it I suppose I could add some historic things on there…what do you think?